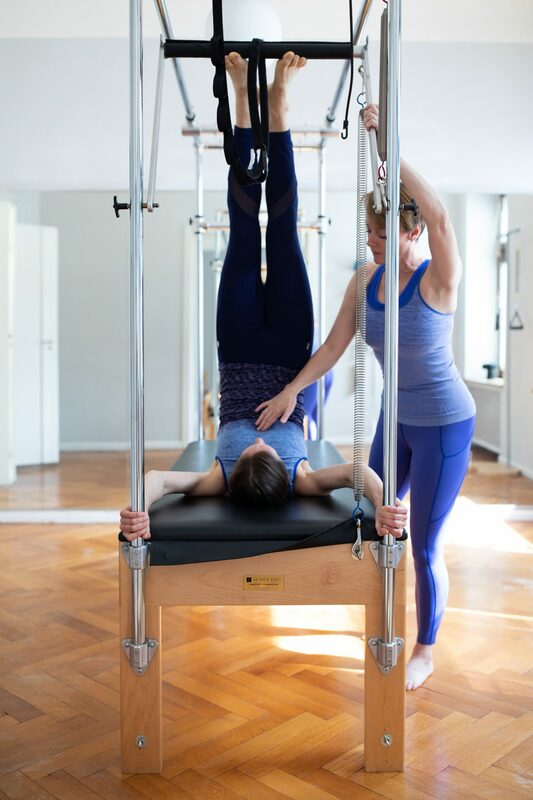 Pilates Berlin / What is Pilates? Pilates is an integrated exercise system which develops the body uniformly and restores natural movement patterns. Fitness studios are filled with equipment designed to make muscles work harder. The spring-based Pilates apparatus is unique however, helping you to harness the power of conscious breathing and activate intrinsic muscle groups effectively. 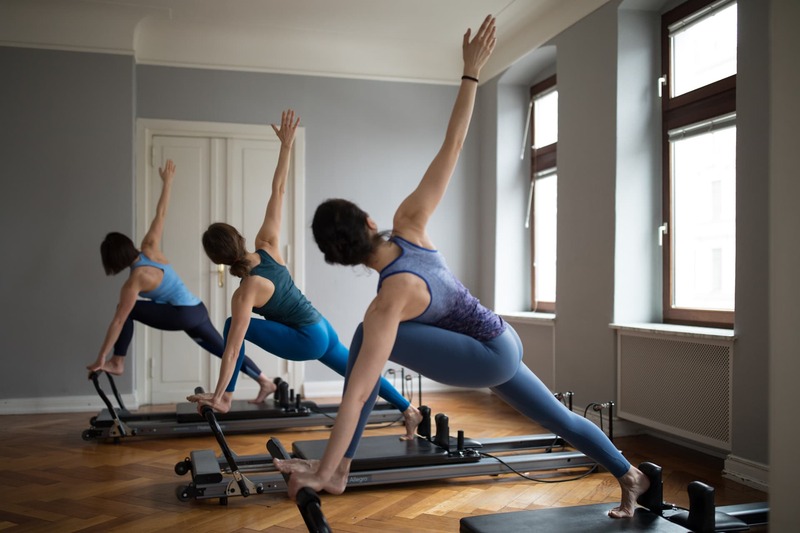 Pilates will rebuild your body from the inside out and strengthen your inner core or “powerhouse” – the diaphragm, pelvic floor, abdominals, and the muscles surrounding the spine. Pilates forces these deep muscles to wake up and work for you! Efficient biomechanics and functional movement patterns are essential for good posture and optimal health. The Pilates method is ideal for athletic conditioning, and is an effective tool for the rehabilitation of sports injuries. Whatever your movement goals – Pilates can help you reach them! Pilates demands your full attention. Repetitions are minimal and the method encompasses hundreds of exercises and variations. Decades before terms like “mind-body connection”, “core training” and “functional movement” were invented, Joe Pilates pioneered an integrated method he described as “the complete coordination of body, mind and spirit”. More than just an intensive and multifaceted physical workout, Pilates will transform your awareness of how your body feels and moves. We are not “the McDonalds of the exercise world”! Pilates is highly effective but the devil is in the details, and the method was not intended to be taught to large groups. You can expect individual attention. We will tailor the exercises to your needs. The Pilates Method was developed almost a century ago, but our modern lives are busier than ever and increasingly sedentary. There are fewer opportunities to move and really connect with our bodies. Pain and poor posture can be directly linked to our working environments and constant exposure to stress. Our approach to Pilates today needs to be contemporary, individual, and creative. We want you to experience both a great “work-out” AND a motivating “work-in”, which boosts self-esteem and leaves you feeling in tune with your body! We’ll help you focus on your individual movement experience and connect with your body in a more fulfilling way. We also offer a range of dynamic group classes. Every class has a different emphasis and intensity, but all will immerse you in the Pilates movement principles of breathing, centering, concentration, control, precision, and flow. We’ll help you find the right class for you, because the Pilates method can work for everyone!